Why Do You Need a Floor Scrubber? It’s essential that you keep your floors clean if you want your premises to be presentable. Unclean flooring can ruin your reputation as it makes it seem like you don’t care about being clean. As a consequence, you need a regular and effective cleaning method to tackle the toughest stains and leave your floor looking spotless. With a floor scrubber, you’ve got a piece of equipment that can handle the toughest stains and marks on your floor. What’s more, it can easily be used to quickly scrub the floor, meaning stains can’t set in and become permanent. Permanent staining can be a massive problem as it may cause you to completely remove part of your flooring and have new stuff laid down. As you can imagine, this is highly costly and very disruptive. Machine Size: the size of the floor scrubber is entirely dependent on you. In general, it’s suggested you get a large one for large surface areas, as this makes it much easier to clean in a short space of time. But, if you only have a tiny area of flooring to clean, then a more portable size may suit you. 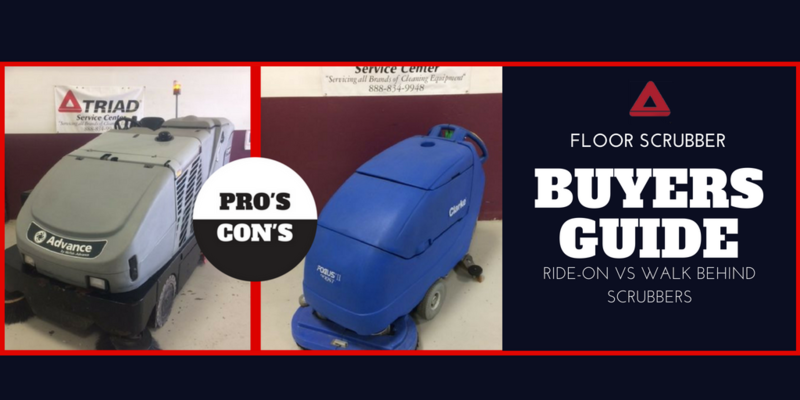 Power Source: consider how your floor scrubber will be powered; does it have a chargeable battery, or will it need to be plugged into a power source? Ideally, battery powered ones are best as they’re easier to maneuver everywhere. 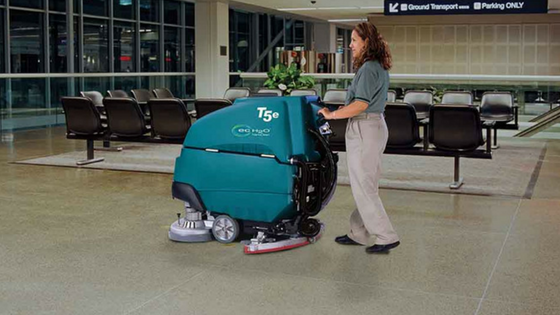 Tank Size: all floor scrubbers have tanks that contain water mixed with a cleaning solution. You must pay attention to how large the tank size is as this plays a significant role in the overall performance. The larger the tank is, the more water can be stored, which means the more work can be carried out before refilling is required. Loudness: look at the noise level the machine produces as you don’t want something that’s overly loud because this can limit your ability to clean during the day. Additional features: it makes sense to get your hands on a machine that has some nice features that make cleaning easier. Look for things like the ability to alter scrubbing pressure as this will be so helpful when tackling tough marks/stains. Also, another useful feature is the ability to change how diluted your water is with the cleaning chemicals. In some instances, you may want to just use water to clean something, but then want to add some cleaning solution later on. What Types of Floor Scrubber Can You Buy? These floor scrubbers are pretty self-explanatory in their approach to the job. You stand behind them and push the scrubber around as you please. You can get this type of scrubber in many different sizes, ranging from ones the size of a small lawn mower to ones that are much larger. More often than not you find these used in most commercial businesses from small offices to large retail stores. While the first option is the most common and popular choice, there are also ride-on scrubbers out there. These function in a similar way, the only difference is that you ride around on the machine instead of pushing it. These are primarily found in massive warehouses or places with loads of floor space to clean. In conclusion, when buying a floor scrubber, you need to think about a few things. Firstly, consider how much floor area you need to clean as this will determine the size and type that suits you best. Then, you should think about all the different features, like the tank size, power source, and so on. The price of your floor scrubber shouldn’t be looked into too much as it’s often worth paying more for a higher quality product. 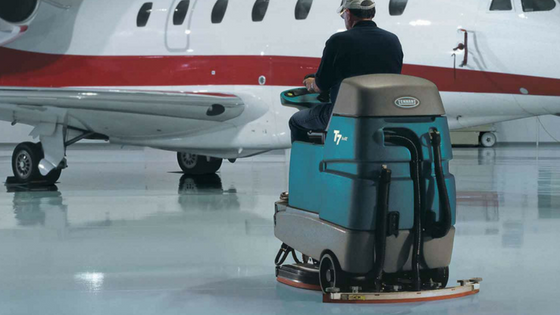 If you have any additional questions about industrial floor scrubbers, then feel free to contact us today to learn more.